Few rituals in my life are as consistent or as enjoyable as slowly and meticulously brewing my wife and I fresh coffee every morning. While most people roll out of bed, throw some grounds in a filter, and hit a button on a machine, I’ve found that a few simple tricks can transform your bitter, flavorless cup into a mug of rich, flavorful, nearly-life-changing java. 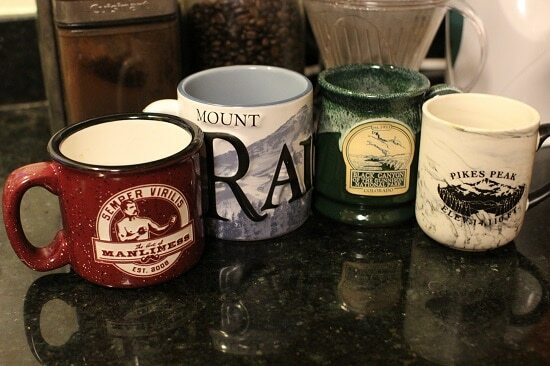 If you want to enhance your morning coffee game, follow the 7 tips below. My collection of hefty coffee mugs, each containing the strands of a powerful experience or meaningful reminder. While chintzy screen-printed mugs are cheaply available on almost every street corner, level up your morning coffee experience not just with the beverage itself, but starting with the very vessel that holds your dark elixir. Doing so Clever Coffee Dripper,... Buy New $49.95 (as of 03:50 EDT - Details) may in fact result in better tasting coffee, or at least the perception of it; when your brain sees a higher quality cup, it expects the mug’s contents to match its appearance, and will actually register the taste in line with those expectations. Just as eating a meal with china and silverware rather than paper plates and plastic utensils significantly changes how you experience a meal, the pleasure of hefting a solid mug can level up the taste and texture of your coffee drinking ritual. Beyond just going with sturdier vessels, I’d suggest having mugs that are connected with a powerful experience or a meaningful reminder. When I drink from my Pikes Peak mug, I’m reminded of scaling the great mountain on foot last summer with my family; when I drink from my Black Canyon mug I get transported back to a wonderful vacation I took with my wife; and when consuming from my AoM mug, I’m of course reminded of Semper Virilis — to always be manly and upstanding and honorable, in any way I can. Your mug can actually serve as a powerful moral reminder that prepares you for whatever the day brings! Sloshing some hot water in the chilly mug. Especially in the winter, when outside-facing cupboards tend to get chilly, warming up your mug will not only keep your coffee warmer a bit longer, it will heat your fingers as well. It’s as simple as sloshing some hot water in the mug (I often boil some extra water in the morning for this very purpose), or even just throwing it into the microwave for 20 seconds or so (empty of course — no microwaving your coffee!). There are a number of benefits to grinding your coffee beans fresh in the morning rather than using the pre-ground variety. The primary reason, however, is that it provides an unparallelled level of freshness. It’s like eating seafood in Iowa vs. eating it fresh from the ocean in Seattle. There’s just no comparison, as the freshness alone makes the dish that much more outstanding. Let’s get scientific with this for a moment. Most of the flavor in coffee is coming from the oils inside the bean. So when you buy whole bean coffee and grind it yourself, you’re releasing the oils right as you’re about to brew. But when you buy pre-ground, those oils have already been released, and are not only picking up a variety of other odors and flavorings (like plastic from their container), but losing their flavor potency as well. Additionally, pre-ground beans have lost much of the CO2 necessary to get the flavors into the brewed coffee. You see, when beans are roasted, there’s a lot of CO2 that gets trapped in them. Once ground, that CO2 helps push the flavors into your black nectar. Up to 80% of that gas is gone, though, just a couple minutes after grinding. So not only do pre-ground beans have less flavor in general, the flavor left over has a harder time getting into your cup. Beyond flavor, pre-ground beans lack the intoxicating aroma that provides so much of the pleasure of one’s morning coffee routine. The relationship between smell and flavor is an intimate one, and coffee beans lose around 60% of that fine aroma about 15 minutes after grinding. 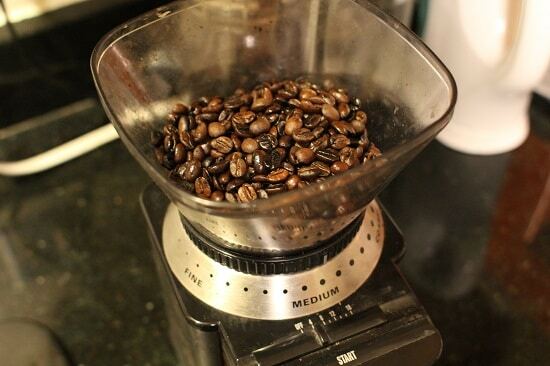 Get a whiff of freshly ground coffee beans, and you’ll never go back. If you take just one tip from this article, let it be this, and go get yourself a coffee grinder today. While there’s much that can be said about the type of grinder, I’ll leave you with the quick tip to go with a burr grinder rather than a blade. With a blade, it’s harder to control the uniformity of the grind (which is important for a few brewing methods), and you also can’t control grind size (for instance, with French press you want to use a coarse rather than a fine grind). I’ve had this Cuisinart model for years, and love it. 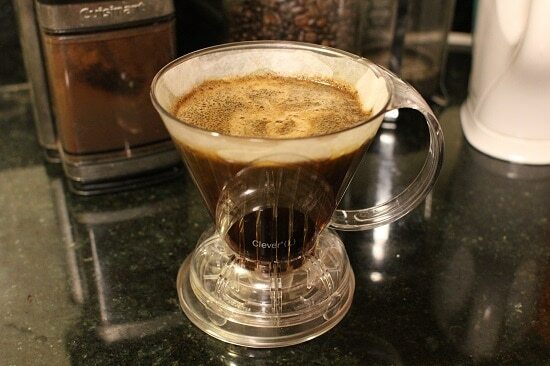 The Clever Coffee Dripper. 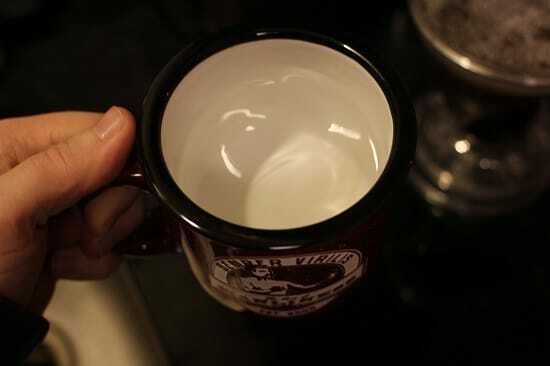 Let the water and grounds “marinate” for a few minutes, and simply set it on top of your mug to release the liquid into your vessel. 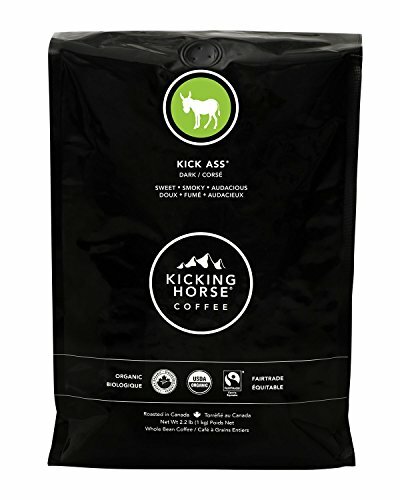 Kicking Horse Coffee, ... Buy New $25.70 (as of 10:05 EDT - Details) AoM has previously featured how to make coffee with a French press, even calling it “the perfect cup of coffee.” That article was published before I was on the team, but I couldn’t agree more. It’s my favorite way to brew coffee in the morning, and that piece does a great job of walking you through the process. Every once in a while, though, I like to break from the norm and brew with a different method. 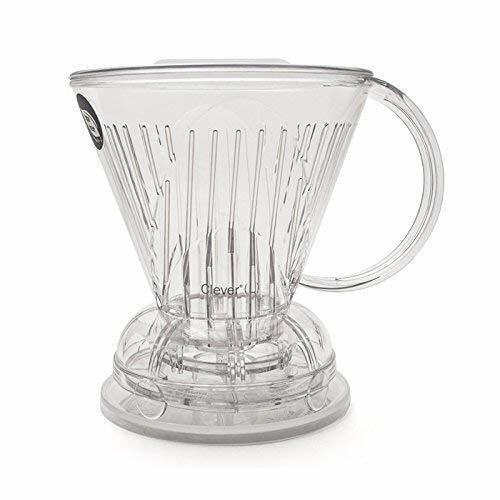 “Pour over” coffee makes a cleaner and lighter beverage, and doesn’t carry quite the punch that French press often does. Pour overs are incredibly easy; this is the one I use, and it has directions right on the box. The only downside is that you’re doing just one cup at a time. I also occasionally use the AeroPress. This device was developed in 2005, and I’ve seen it popping up in more and more coffee shops as a luxury brewing option. It’s more complex than other methods and requires more precision, but it tastes great and truly feels like you’ve crafted a beverage from your own two hands rather than from just hitting one button on a machine. Using forced air to push the coffee through a small filter, it produces an espresso-like drink, and I often mix it with hot water to make an Americano. If you get yourself an AeroPress, it comes with a handy-dandy brewing guide, or you can try the inverted method that some coffee shops use (the linked guide gets a bit nerdy — I never measure out grams of coffee or specific water temps). Beyond those methods, there are a number of others like the vacuum/syphon, Chemex, heck even percolators are still out there. Try your hand at different methods and see what you like best.